"A Stanley Tradition since 1843" - Stanley reintroduces their Sweet Heart logo with a new line of premium hand planes. 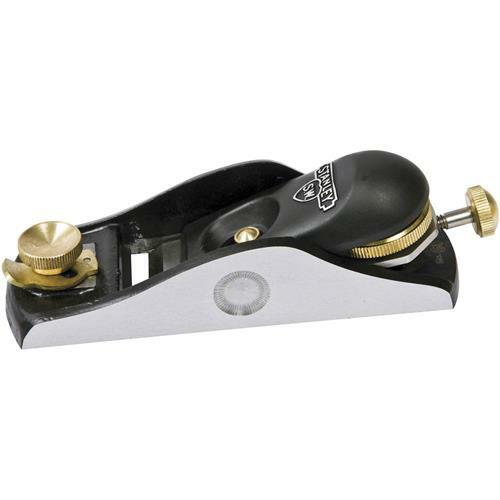 If youre a woodworker, finding an old Stanley tool with their Sweet Heart logo is like finding a treasure, and many consider these hand planes to be the best of the best. These new planes were created with the input of users and engineers combining science and the art of toolmaking to produce the best possible tool. Each plane features an adjustable mouth, a 1/8 thick A2 steel blade, and a one-piece precision ground frog and base casting. Limited lifetime warranty. Instructions for care and use included. The 60-1/2 S.W. Low Angle Block Plane features a 2-1/8 wide x 6-1/2 ductile iron base with a 1-3/4 wide blade. At 2 lbs. might be a tad heavy for the tool belt but the extra mass comes in handy when edge planing or doing any cross-grain work.